COLUMBUS — Sharply reduced funding for vital improvements to Ohio’s deteriorating roads and bridges presents a major economic and transportation problem according to a statewide coalition advocating for adequate infrastructure spending. Local government officials, transportation industry stakeholders, local chambers of commerce, and others have formed a broad-based coalition, Fix Our Roads Ohio (FOR Ohio), aimed at educating Ohio citizens and policymakers on the critical needs of Ohio’s transportation infrastructure. The group is advocating for funding solutions that will provide long term, smart investment in Ohio’s transportation future. The coalition began circulating a case statement entitled A Moment of Truth: Ohio’s Transportation Funding Problem and How to Solve It. The Ohio Department of Transportation (ODOT) is scheduled to spend $1.7 billion on its capital program in FY 2020, down from a high of $2.4 billion in FY 2014. This decrease is due in large part to the expiration of Ohio’s Turnpike Bond program at the end of this fiscal year (June 30, 2019), and represents a 29 percent decrease in capital spending from FY 2014. Has the nation’s second largest inventory of bridges. Has the nation’s fourth largest interstate highway system. Has the third highest freight volume in the country. According to available documents, ODOT’s projected biennial budget for FY 2020/21 contains practically no money for major new construction projects. Furthermore, ODOT has already pushed back or delayed nearly 20 important bridge and paving projects around the state. The alarming drop in funding proposed for FY 2020 promises to add further delays to bridges and roadways that local and state officials have determined to be in need of improvement. According to a recent report by TRIP, a national transportation research group, 30 percent of Ohio’s major roads are in poor or mediocre condition. 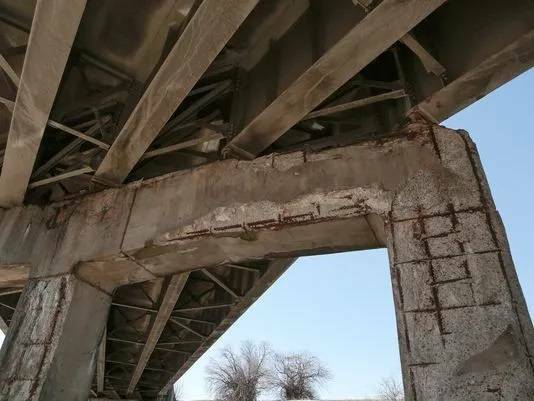 The FHWA National Bridge Inventory, which compiles data for bridges spanning more than 20 feet, rates 1,653 of Ohio’s bridges as structurally deficient, meaning there is significant deterioration of the bridge deck, supports, or other major components. The funding shortfall is not limited to the state-maintained transportation system. The County Engineers Association of Ohio has reported that only 40 percent of the funds needed to bring aging roads to current standards, replace or repair all eligible bridges, pave county roads on a 10-year cycle, and perform ongoing maintenance, are currently available to perform this work. This deficiency in funding leads to a continuing downward spiral of deteriorating roadway and bridge conditions. Beyond these critical existing needs, the future of transportation contemplates advanced technology such as autonomous vehicles and smart mobility. Ohio has been a leader in the development of this technology. However at current funding levels, Ohio can’t even maintain its existing system, and is ill-prepared to be a leader in constructing necessary infrastructure improvements for future needs. FOR Ohio’s case statement offers a short list of policy options that could be considered by the Ohio General Assembly and new Administration. Options include phasing in increases to Ohio’s Motor Fuel User Fee (gas tax), levying an annual fee on electric-powered vehicles, studying future funding alternatives in light of evolving technology, and identifying a dedicated funding source to better support public transit. As state lawmakers work to shape policy, FOR Ohio will draw on the breadth of its membership to educate Ohioans about this looming crisis and work with state leaders to identify a funding solution that represents a reliable, long term investment in Ohio’s transportation future.